This is quite sad. A newly wed identified as Shuaibu Eya is currently fighting for his life at a hospital in Keffi, Nasarawa State. 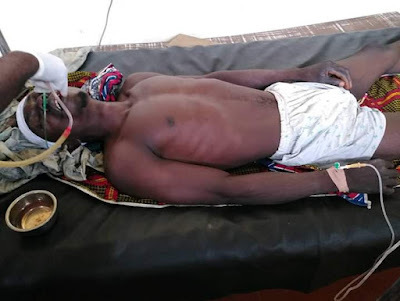 The man was left in a terrible state after he was attacked with cutlass by suspected armed robbers on Monday, on his way back to the state capital after his wedding and thanksgiving service held on March 23 and 24 in his village. Please your prayer is needed, for this young man in the hospital keffi, his name is shuaibu eya from onda kana NASA raw a local government, nasarawa state. 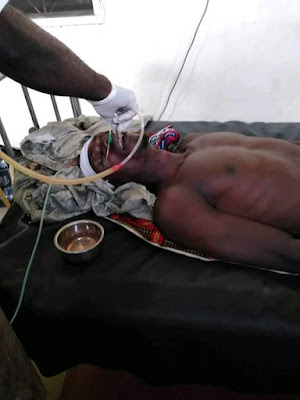 "He just got married on the 23th of this month been Saturday 2019,on his way back from NASA raw a for their thanks giving, arm robbers just attacked him and use cutlass on him every where, currently is in Nagari hospital Keffi."